PushFire is a different kind of agency. PushFire’s executive staff has extensive experience. 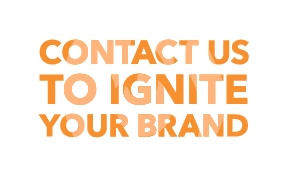 PushFire is an acknowledged pioneer in the digital marketing industry, with over 16 years of “hands-on” strategy development and implementation. 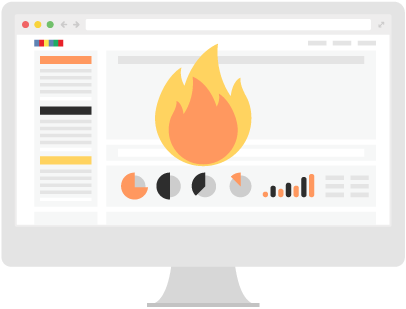 PushFire is also a leading voice in the paid search arena and an innovator in the field of remarketing. We don’t sell you on a “name” and then pass your account off to a junior staff member. Our founders have involvement in creating the strategies behind all of our services and love being “in the trenches.” Our account managers are experienced marketers with a minimum of five years experience in the field. Our goal isn’t to be the “biggest” agency. Our goal is to be one of the best. PushFire works with multiple types of clients – from small businesses to Fortune companies. Over the years, we’ve worked with almost every type of website: e-commerce, affiliate, B2B, lead generation, content publishers, review sites, community sites, and many more. We call it as we see it, even if that means what’s in your best interest isn’t in ours. We believe in telling you what you need to hear – even though it might not always be what you want to hear. While we pride ourselves on utilizing cutting edge technologies, we never let the tools do our thinking. We produce some of the best deliverables in the industry. It’s common for clients to tell us that we’ve identified issues that other companies haven’t. PushFire is dedicated to performing custom research and creating custom strategies and solutions for each client. We don’t simply work with anyone who’s willing to pay us. We want to enjoy our work and we want to be confident that we can provide a client with ROI. Sometimes a client isn’t the right fit. And that’s ok. While PushFire has been a leading voice in the online marketing industry for almost two decades, we don’t fool ourselves into believing that means we know all we need to know. The industry changes, new tactics and technologies emerge and old ones die out. We’re constantly learning, pushing and testing on privately owned sites. We’re not “salespeople.” In fact, we don’t employ any salespeople at all. All of our business comes from our reputation and word of mouth from our current and former clients. If we aren’t confident we can provide you with a positive ROI for our services, we won’t work with you. We’re not looking to “lock you down” with a long-term contract. We prefer to keep our spot on your team by providing you with results. We only want to work with companies who are our clients because they want to be and not because a piece of paper says they have to be.